What happens if my car is declared a total loss after an accident? 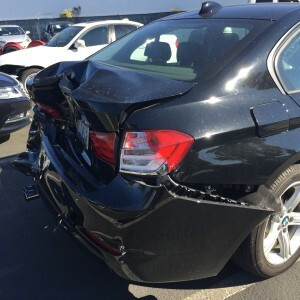 My Car is a total loss, now what? For most of us a car accident is something we’ll be unable to avoid at some point while on the road. Even low impact accidents can result in extensive damage to your vehicle. What happens when you get the unfortunate news that your vehicle has been declared a total loss? Let’s start by taking a look at what happens between the accident and notification that your car has been declared a total loss. Every vehicle has an ACV, and insurers compare it to the cost of needed repairs when handling a car insurance claim. To arrive at your vehicle’s ACV, insurers consider the condition of your vehicle and its mileage, as well as the value of your vehicle by consulting sources such as the National Automobile Dealer Association (NADA) and Kelley Blue Book. If the resulting ACV is lower than (or a certain percentage of) the cost of repairs, as estimated by a reputable repair shop, you’re likely looking at a total loss. For vehicles that were well past their prime before sustaining extensive damage in an accident, a total loss is often unavoidable. Even with seemingly minor damage. If My Car Is a Total Loss. Your car has been declared a total loss, what will happen next? Paying Your Deductible: Did someone else cause the accident? If so, his/her insurance carrier should handle the total loss settlement. This most likely means you won’t have to pay your deductible. However, if the other insurance carrier doesn’t pay or you’re at fault, your Collision Coverage, if you have it, will pay for a covered loss. And, you’ll need to pay that deductible. If you only carry Liability Coverage, then you don’t have any coverage for damage to the actual vehicle itself. Transferring Ownership: You’ll essentially sign over ownership of your totaled vehicle to the insurance carrier settling the claim – in exchange for any settlement to which you’re entitled, of course. From there, the insurer sees to its proper disposal. You’ll want to maintain your insurance coverage on the vehicle until it’s officially no longer owned by you. Getting Paid: Based on the ACV the insurance carrier will pay the amount settled on, minus any deductible and fees. If you own the vehicle, you get the check. If you lease or finance it, the leasing or financing company likely gets the check. Note the settlement may be for more or less than what you owe. If any money remains after paying off your lease or loan, it’s yours. If not, you may be on the hook for the difference. Renting a Car: Following a total loss, you may need a car to drive. If you have rental car coverage on your policy. It will help with the costs of renting a car for the period of time outlined in your policy. Buying A New: You’ll eventually want to replace you lost car, and put the car accident behind you, be sure you have insurance coverage before driving off the lot. As you can see, a lot goes into declaring a car a total loss. But, the whole process doesn’t have to cost you a lot. If you have the proper coverage to guard against accident losses, getting back on the road will be a relatively smooth process. If not, you can bet that headache after headache will ensue. To check whether you’re prepared for a total loss accident, contact our office to review your auto policy and discuss your options today.